SGI Waves From Past Weekend! It's HTML5 and the videos are still pretty large, so if your internet's from the 1990's I'll just post a pic. Thank you for sharing Alex. Looks like fun. Hahaha I'm just using whatever the latest fast and punchy tune that catches my ear. :) The Tuesday parts are where the camera sits further away from me and the water's greener. Sunday's looking promising for some offshore at SGI. Maybe I should dust off my windsurf gear. I'm guessing the waves wont be any good though. 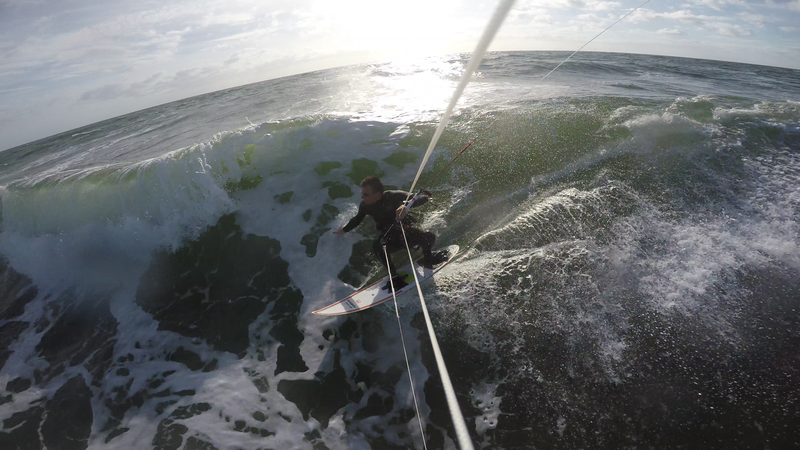 Alex--(Just a Machine, use him, abuse him)-- Very nice video and some good wave rides. It is hard to tell which day is which--are both days all mixed together (I see one shot of John's kite, which I assume was from Sunday). Oddly, the higher quality video makes the waves look even flatter, although both of them do that to a large degree. I know this takes a lot of work--great job. Fred H.